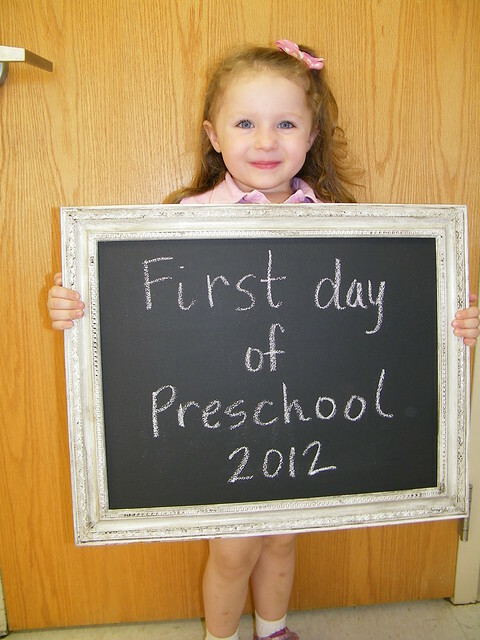 My little Emmy started preschool this year!! She was so excited to have her "own school" and make new friends. Her first day went fabulously! I picked her up and she was glowing and grinning from ear to ear, going on and on about all the fun things she did and learned. 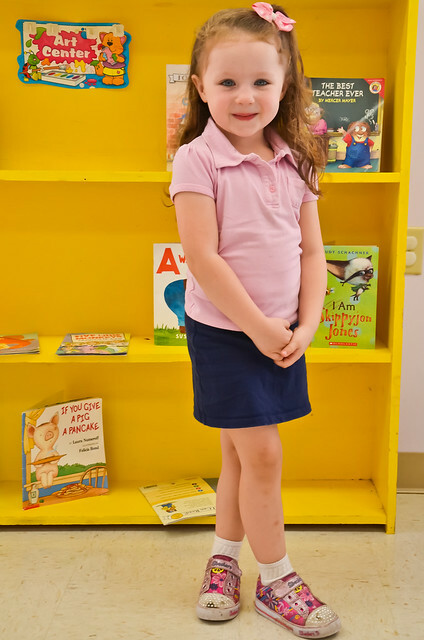 Her new classroom, filled with the best toys ever and lots of books! The beginning of a very special adventure for Emily! 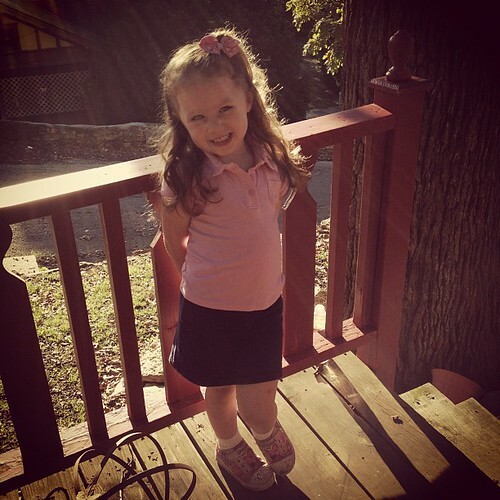 Aww she is getting so big. So glad she enjoyed her first day! I have watched her grow since she was a chubby baby. She is lovely.